The authors of Aftershock comprise a team of three: David Wiedemer, Robert A. Wiedemer and Cindy Spitzer. After completing their studies at the University of Wisconsin-Madison, David with a Ph.D. in Economics and Robert with an M.B.A., the two brothers started the economic data analysis and investment-advising firm, Absolute Investment Management. Cindy Spitzer is President of Aftershock Consultants, a company providing investment advice to both individuals and businesses. 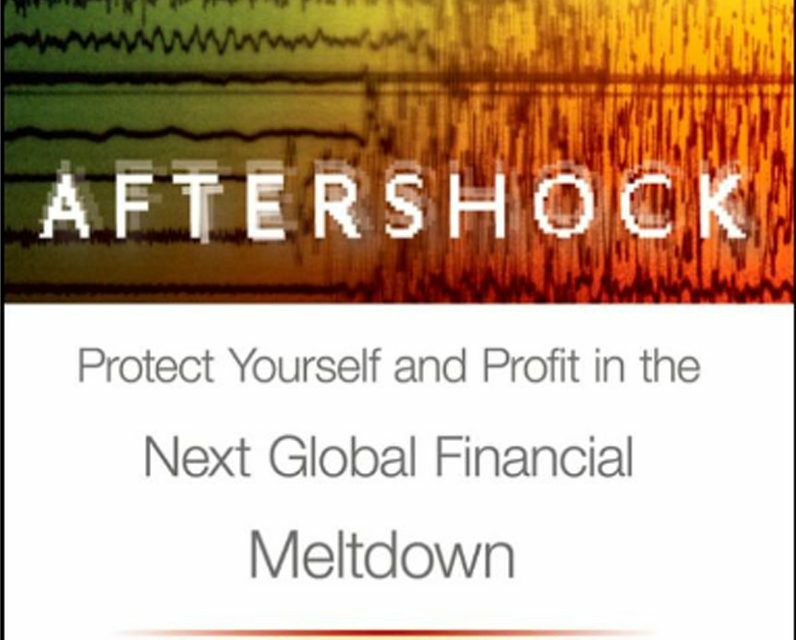 Aftershock walks a fine line between plain-speak economic forecasting and extremely assertive (dis)investment advice. As evident from the title, this book delivers a thinly veiled message of fear and panic. There are such section and chapter titles as, “The Bubble Quake,” “Cashing in on Chaos,” and our favorite, “Global Mega-Money Meltdown.” According to the preface, this book was produced as a benevolent effort to bring the collective wisdom of the three authors to the masses to help “protect” people from the impending financial Armageddon. Considering all three authors stand to benefit from widespread panic regarding another financial crisis (they are all investment advisers), their conclusions must be taken with a grain of salt. 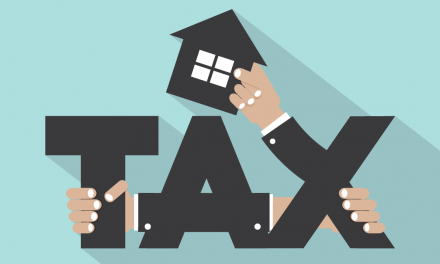 Although based largely on investment advice concerning money, bond and stock markets, the authors also touch on U.S. real estate and offer specific tips to those open to all perspectives, as extreme and alarmist as they may be. The book observes two bubbles ballooning in the U.S. economy: a dollar bubble and a debt bubble. According to the authors, the government, along with the Federal Reserve (the Fed), have both created these bubbles in their failed attempts to stimulate the U.S. economy in the aftermath of the 2008 Financial Crisis and ensuing Great Recession. The current administration is creating a debt bubble by continuing to borrow against the full faith and credit of the U.S. taxpayer, thereby increasing the national debt to an ever-greater proportion of gross domestic product (GDP). Similarly, the Fed has created a dollar bubble through holding interest rates near zero and by further injecting cash into the economy via quantitative easing (QE). So the story goes, the dollar bubble will burst once the economy begins to pick back up and the excess cash the Fed pumped into the system will far outweigh the amount of goods and services in the post-recession economy. The result: hyperinflation and a dramatically devalued dollar, argue the authors. As the value of the dollar falls and the rate of inflation soars above 10%, the debt bubble will burst as investors (both foreign and domestic) cease to place their bets on dollar-denominated assets, including the once safe government bonds. This is where real estate comes in. According to the above described dollar demolition via government induced hyperinflation, all dollar-denominated assets will sink in the quagmire of the weak dollar. While nominal prices may increase in real estate markets (as they seem to be doing today), this will only be an empty appearance of value since the dollar being used to purchase the asset is so weak. This is all in addition to soaring interest rates due to what will be perceived as a high-risk market. The authors’ advice? Stay away from real estate and sell now if you have any real estate related assets on your books. In fact, stay away from investment in all dollar denominated assets, period. So how exactly does one “protect” their self from the “next global financial meltdown?” You may have guessed it by now: buy gold. Although gold is technically a commodity that is “purchased” with dollars, it is an exceptional commodity that will retain its value as a store of wealth and will be the only way to preserve wealth in the age of the impotent dollar, say the authors. Clearly, the authors of Aftershock are gold bugs, particularly of the freshwater, supply-side economics variety. However, hyperinflation will not occur as a result of the Fed’s bond buying activities and the administration’s attempts at fiscal stimulus. Interest rates are zero-bound, mortgage money is cheap and real estate is relatively inexpensive right now (but still overvalued). In order for inflation to occur, the cash has to be in circulation, which it currently is not, but rather sitting in reserves at the big banks. Real estate is a demand market. Prices, interest rates, confidence, employment and the availability of credit are currently insufficient to stimulate demand from end-users of a property. There has to be circulation (lending, buying and selling) for an increase in the money supply to result in asset price inflation in the real estate market. Once demand picks up, it will be low and slow, with nowhere near the momentum to fuel another bubble. This is all aside from the very simple fact that the Fed can take money out of circulation just as easily as they pumped it in. Although the authors of Aftershock may be off base with their prediction of hyperinflation, the book is still rich with unexpected kernels of truth. For example, the authors argue the stock market is being propped-up by the Fed’s prolific money printing. This insight certainly rings true, as the stock market seems mysteriously strong when all other economic indicators point to a continued Lesser Depression — an economic incongruity that surely deserves a closer look. While Aftershock will not be the ultimate guidebook for buying and selling real estate in this Lesser Depression, it does offer valuable advice to those interested in learning how and where to store their wealth. We disagree with the gold-bug conclusions of the book, but it is worth a look for yourself. The ever-growing LIBOR scandal will provide the shock. 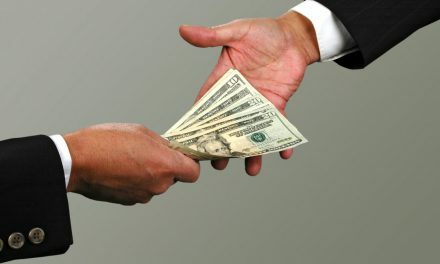 It is becoming more and more apparent to more and more Americans that the puppet masters are, in actuality, the banking elite, and they, the common citizens, have been the hapless victims of a predatory system put in place by insiders and for insiders. That system includes BIG PHARMA, BIG OIL, BIG MED, and the bankers and was constructed by the power elite to fleece the common citizen in every way possible and by every means possible. It is that fall of that lecherous and corrupt system that will cause the true aftershock. Once that monster has been decapitated and dispatched the human race can begin its upward climb to sustainable healthy living and prosperity—the destiny it was meant to enjoy before it was shackled in the bonds of servitude.